Winter is often cold, dark and dreary, it can be downright depressing. So when the winter sun pokes it head out and offers warm rays and bright lights we perk up and take notice. Shoving our face into the warmth of the sun and basking in the brilliance of it’s power, we begin to smile. 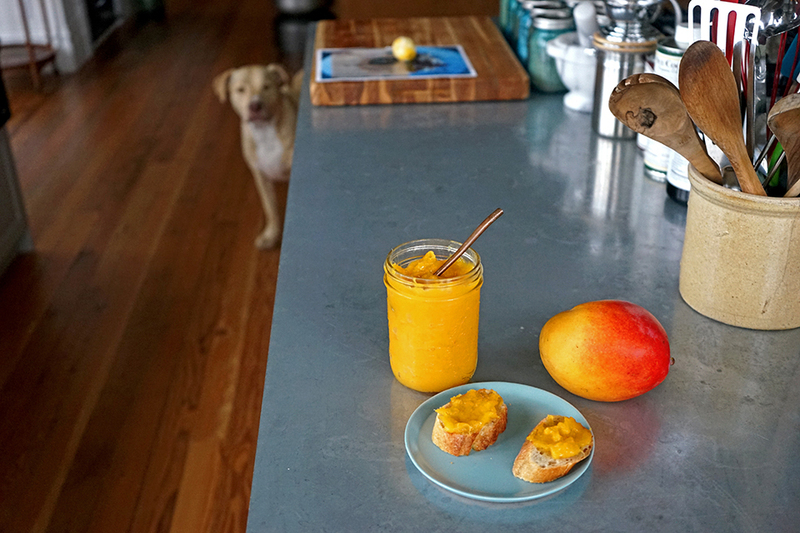 That is exactly the feeling this sunny mango jam gives in the dead of winter. It’s tropical vibrancy uplifts with precision timing. In slathering on or in all of our winter delicacies, we can cling, just a wee bit longer to the bright light and warmth we so assiduously crave. 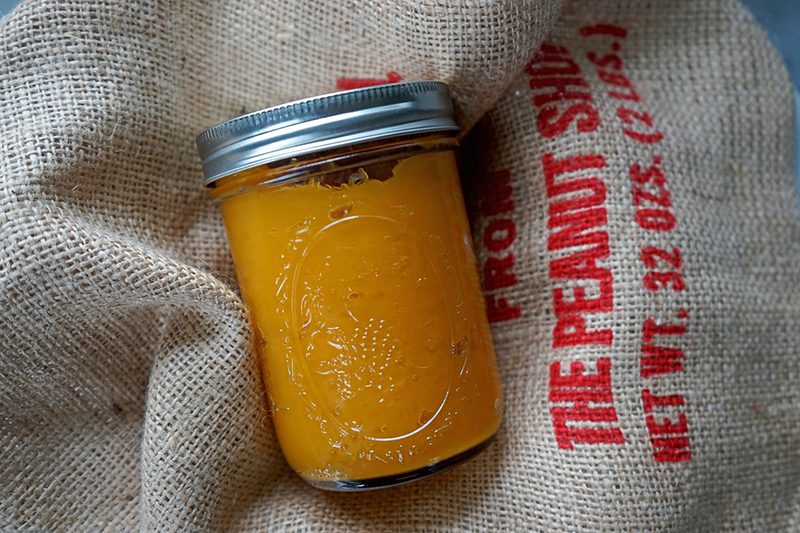 Winter becomes gratifying when we spoon this jam onto everything. 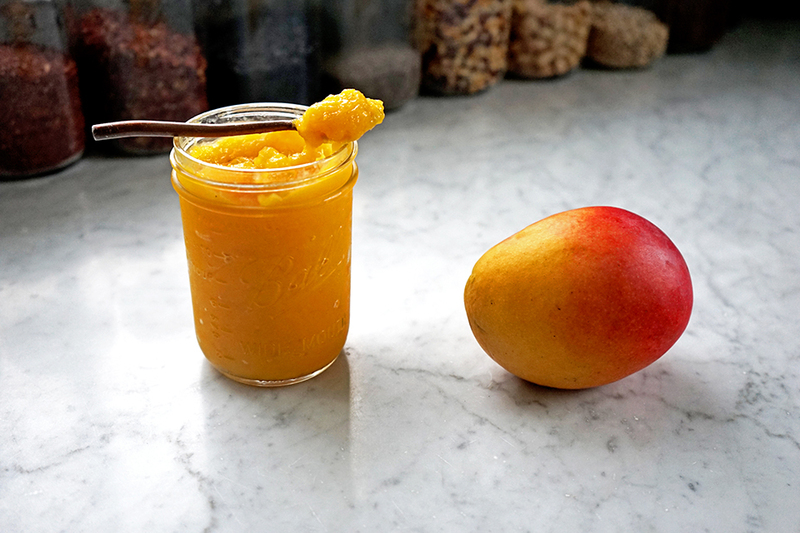 It’s easy to make and requires little other than fresh and tasty mangoes and a little of your time. Time you can relax and indulge in the tropical perfumed essence of the mango. Making the jam is a form of pampering yourself. Eating it is the ultimate winter indulgence. 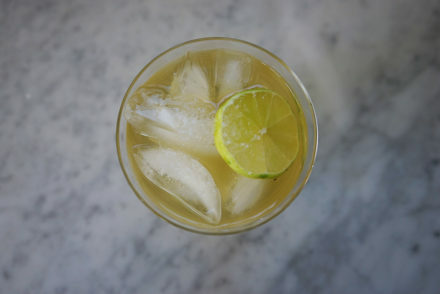 The Crespo Organic Kitchen gives us the sweet juice on how to make it and how to, cleverly, use it. 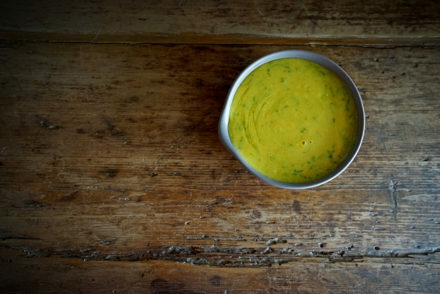 Combine the mango, sugar, lemon zest and juice and salt in large heavy bottom saucepan and mix to combine. Place the pot on the stove on medium high heat. Stir well, making sure to mix in all the sugar so it begins to dissolve with the heat. 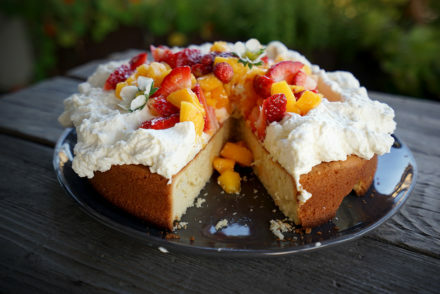 Once most the sugar has dissolved into the mango mixture, turn the heat up to high. Stirring well, but with some gentleness so as to not totally break apart all the mango pieces. Make sure to scrape the bottom of the pan often, to keep it from burning or sticking to the bottom. Cook on high heat for a total of 30 minutes, paying attention and stirring often. Turn the heat down to medium low and continue to cook and stir another 15-20 minutes or until the jam is to your desired thickness. The jam should be thick and jammy and not slide off your spoon easily. Once you believe the jam is near done and before testing with the plate, add the butter and stir well, cooking another 1-2 minutes. Take your plate out of the freezer to test your jam. Place a small spoonful on your cold plate and poke your finger in the jam. The jam should stay firm as opposed to running into the crevice you just made with your finger. If the jam is still runny or loose allow it to cook again (on high heat) another 3-4 minutes and test again. Make sure you put the plate back in the freezer in between. Place the jam in a jar or jars and let stand uncovered to cool completely. Cover and place in the refrigerated for up to 4 weeks.